Need time to focus? Want to finish a project or begin one? Want to start the new year how you mean to go on? 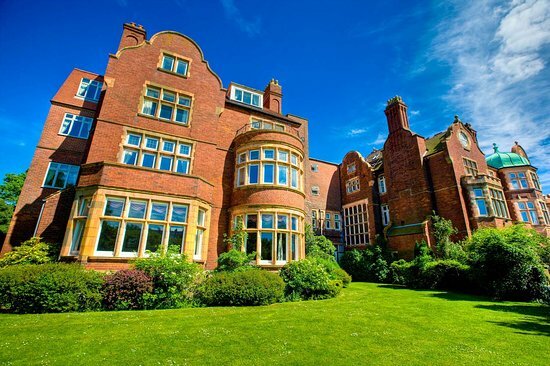 Come and write with brilliant grrrls by the sea at the beautiful old Burlington Hotel. When we announced our first 2019 writing retreat, it sold out in a day so here’s another for summer on 22nd and 23rd of June! Such a fantastic time was had by all and another retreat was requested so here it is! It felt invigorating to really immerse myself in a project in such a focused way And, as ever, I always meet lovely & interesting women through WLAG. It was a really nice space, I liked being by the sea and the room we were in. The frequent tea and coffee helped too, and the lunches were great. I think you did a great job at setting a tone of no pressure / comfortable accountability / productivity on your terms. Meeting other writers, hanging out by the sea, working with a group of other people instead of all alone in my room… mostly having a structure and support to lean on and work. And the one on one and feedback were amazing, so helpful in pointing me in the right direction!! Guided by Kerry Ryan, you’ll have hours of peaceful focused time to write, gorgeous coasts to walk along, art and music and dancing in the evenings and lots of laughs and creativity. Leave all your stresses behind. Come and get your grrrl on! Write! You’ll have focused time to write without interruptions in a lovely room at the Burlington hotel. This retreat is for women at every level. Beginners, more advanced, whoever. You won’t share your work. There’s no workshopping. Just plenty of time to write! You can have quiet time to yourself in the evenings or come out for drinks/food. No pressure. It’s your weekend. The most important thing is that you have time to write and make space for what you need. Folkestone is 53 minutes from London by train. All those who self-identify as women or non-binary are very welcome.